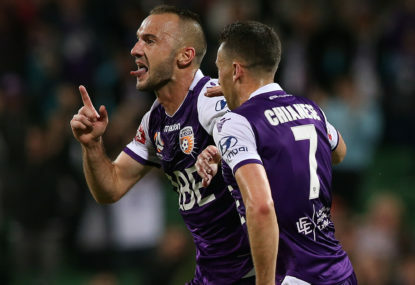 Perth had to beat the reigning premiers in the Melbourne Victory and did so emphatically, coming from behind to win 4-2. But the big talking point out of this game was Sam Kerr, who at the moment seems to be in a league of her own. To be fair, she has been one of the biggest talking points of this year’s W-League season. Kerr was visibly frustrated in the first half against Victory and was denied points on several occasions despite having goal scoring opportunities. But Kerr is not a player who is known to continuously squander chances. It may have taken her until the 72nd minute but Kerr capitalised on a Leticia McKenna cross to score the Glory’s first goal. By the 97th minute, the scores were all locked up at 2-2, but when Kerr found herself in possession with only a defender and the goalkeeper to beat she again found the back of the net. 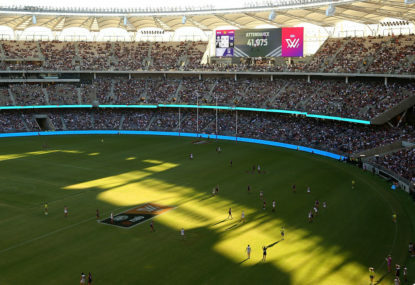 With that goal, Perth took the lead for the first time during the contest. 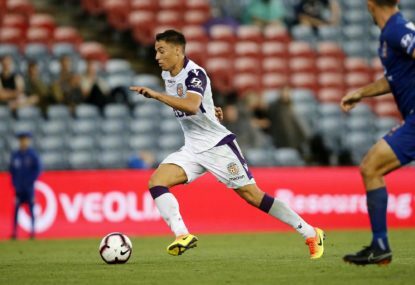 But not content to finish there, Kerr scored one more goal in the second half of extra time to put Glory two goals ahead and to ultimately put the game out of reach for Victory. Kerr has now scored 16 goals in 12 matches and if last weekend’s performance was anything to go by, then she isn’t finished yet. I loved watching social media erupt after Kerr got her hat trick with fans simply in awe of her talent. She really is one of Australia’s most beloved athletes at the moment and has been a big reason why the Matildas are such a recognisable and adored team amongst the Australian public right now. It’s been such a privilege to watch her play in the W-League this year and with her marquee deal with Perth coming to an end shortly, it’s still very much in the air as to whether she will return next year or will instead go choose to play in Europe. It’s disappointing that our Australian competition is still not at the standard of some of the other international competitions, but ahead of a World Cup, it makes sense for Kerr to head overseas to play against the best in the world. The only thing standing between Perth and their first ever W-League Grand Final victory is Sydney FC. 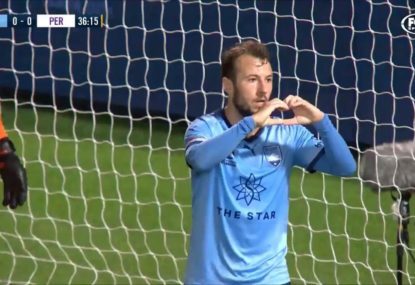 Sydney FC may have been slightly inconsistent throughout the season but they prevailed when it mattered, beating the Brisbane Roar 2-1 in their semi-final. Caitlin Foord has been one of Sydney FC’s stand out players in recent weeks and it was no different in this game. With her first touch in the 32nd minute came a goal. Alanna Kennedy and Sofia Huerta also scored goals for Sydney FC on the day; set up by Caitlin. There were some other stand out moments in this game including Sydney’s goalkeeper Aubrey Bledsoe who had an incredible save in the second half when Yuki Nagasato looked certain to score. It was a key moment in the game given that just three minutes later that Sofia Huerta put Sydney even further ahead with a goal. Given the form that these teams are in at the moment, this weekend’s game should be a thriller. 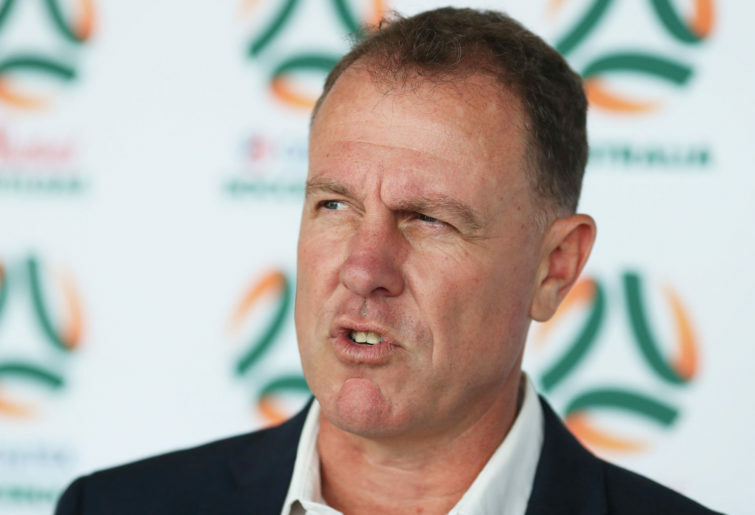 But despite the excitement of a Grand Final week, some of the celebrations have been overshadowed by the termination of Westfield Matildas coach Alen Stajcic and the controversy surrounding his termination. Earlier this week, Stajcic came out for the first time publicly since his dismissal emphasising the very real impact that his sacking has had on his career, his reputation and also his family who have had to deal with the fall out. The sacking may have happened three weeks ago but it seems like the media and fans are no closer to understanding the circumstances that led to the dismissal. And therein lies the problem. It’s not exactly to do with Stajcic being sacked – although sacking a successful coach so close to a World Cup is baffling – but it’s more the manner in which it has been done. At the moment, the Australian public has nothing but questions which have not been answered. 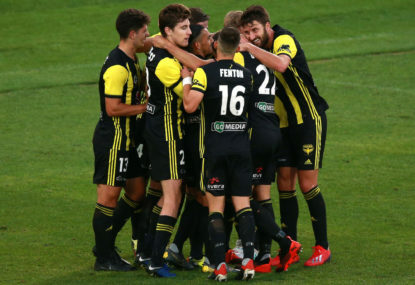 Several of the players have also come out in support of Stajcic – query though whether they were encouraged to do this or whether they have followed the behaviour of other members of the team. At the moment we have two accounts, that of the FFA and that of Stajcic. Who knows what to believe. It’s such a shame that the situation was handled so poorly and has really put a dampener on the joy which surrounds the Matilda’s and further questions about the competency of the board of the FFA. All this chatter could, of course, be silenced if the FFA could bring us on the journey and explain what has happened. Until they do so, whispering will continue and my sense is that this is not the last time we will hear from Stajcic on the matter. The W-League Grand Final will be broadcast tomorrow on Fox Sports 505 or SBS Viceland at 4:30pm AEDT.